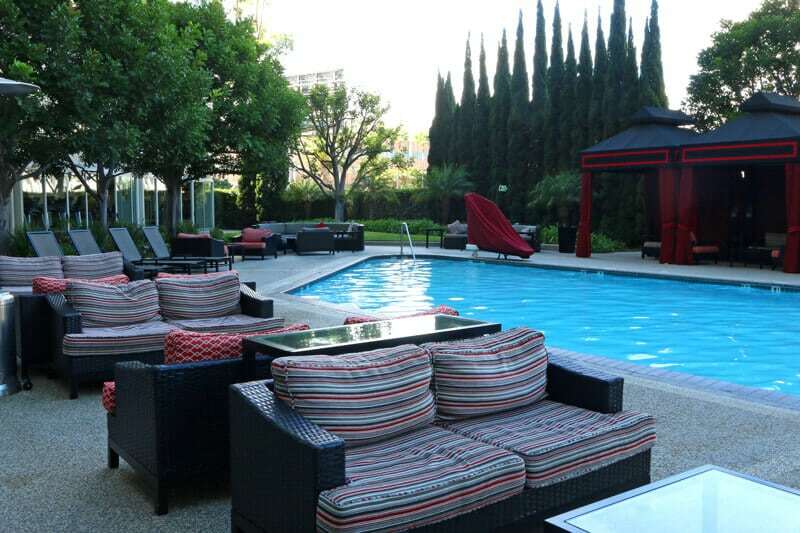 Our family recently took a vacation to Los Angeles and stayed a the Sheraton Gateway Hotel. 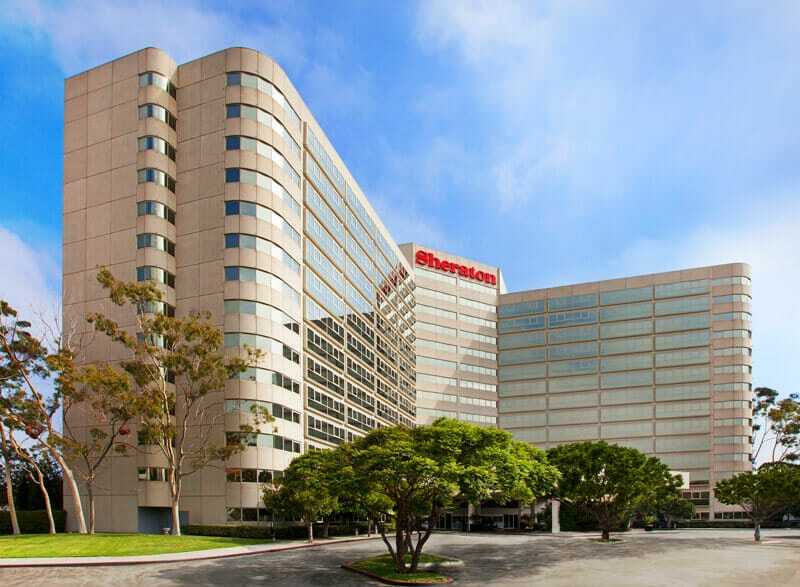 Because of its great location, Sheraton Gateway served as a perfect home base for our family to access many of the LA attractions we came to see. 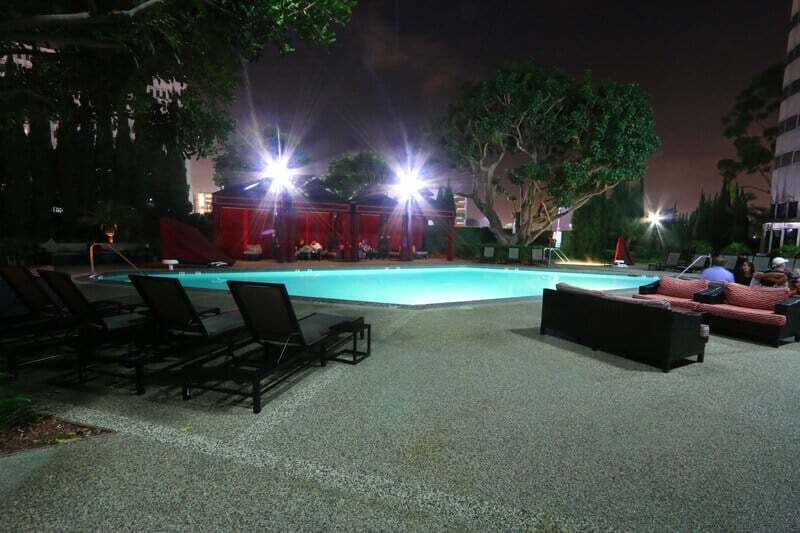 The hotel is conveniently located near LAX and offers a complimentary shuttle service to and from the airport. 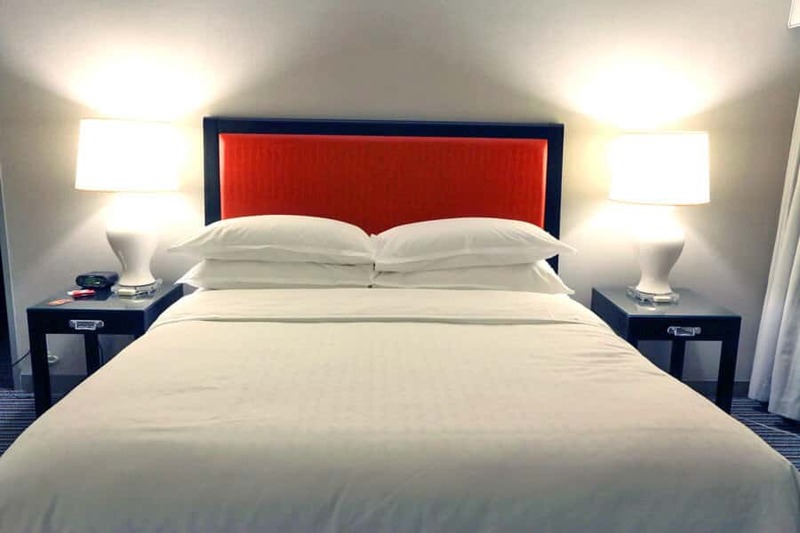 Newly renovated, the hotel is modern, sophisticated and stylish with a thoughtful blend of designs. 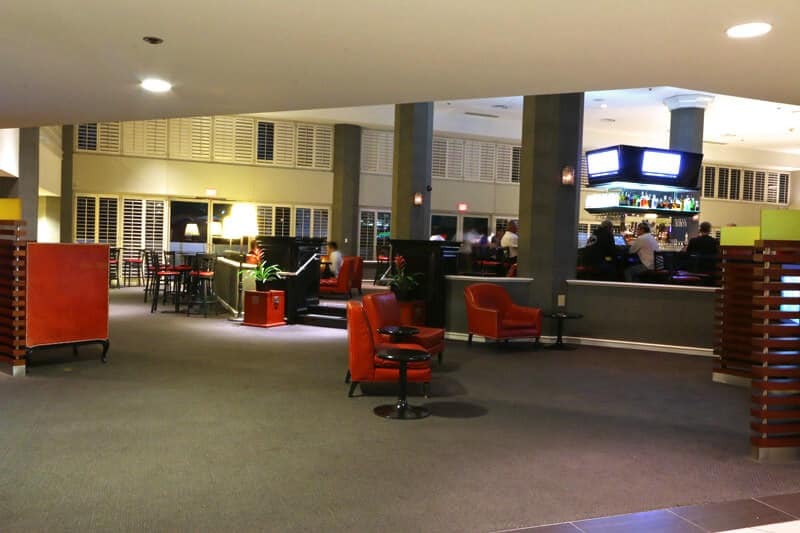 It has all the amenities both business and leisure travelers would appreciate. 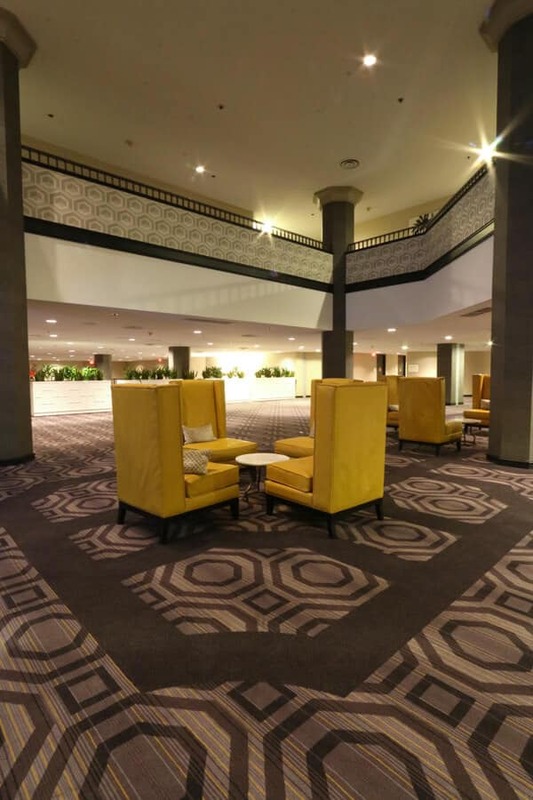 Come take a virtual tour! The sheer size of the hotel is almost jaw-dropping. 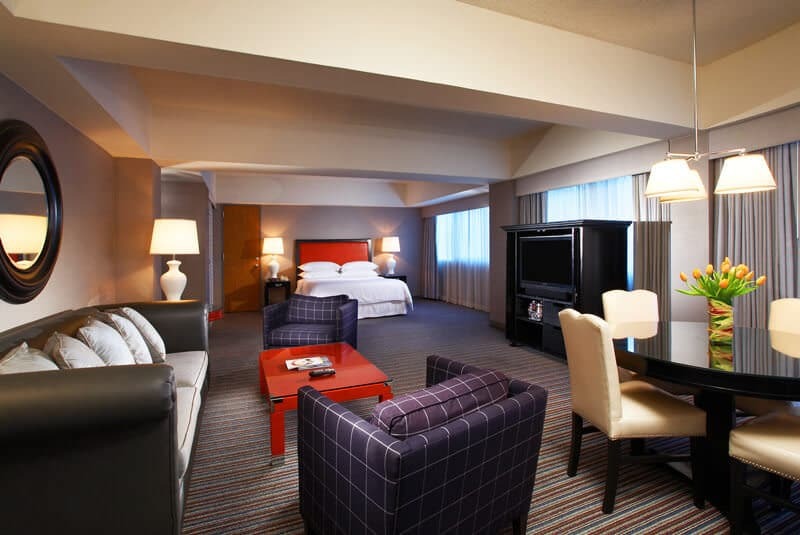 With 802 spacious guest rooms and suites, it’s probably the largest hotel we’ve stayed in. Not only is the lobby and downstairs massive, our suite was also one of the largest we’ve seen. 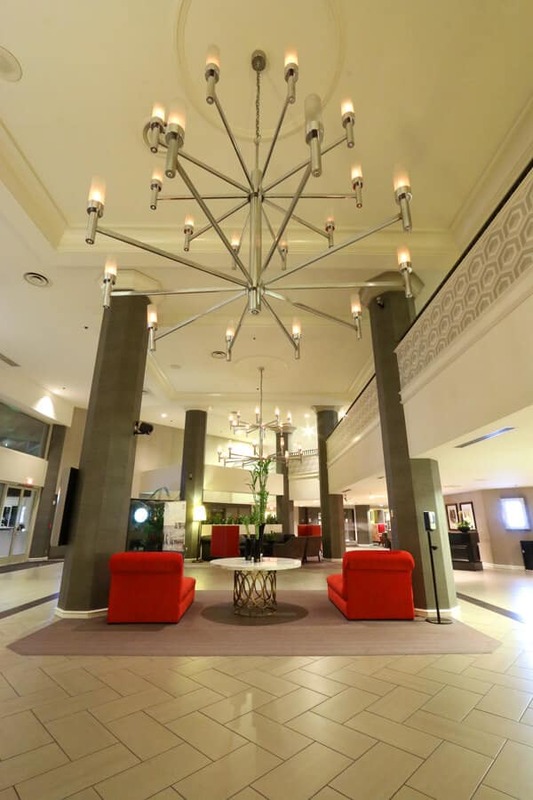 In the front lobby are towering ceilings with looming columns and a massive modern chandelier. 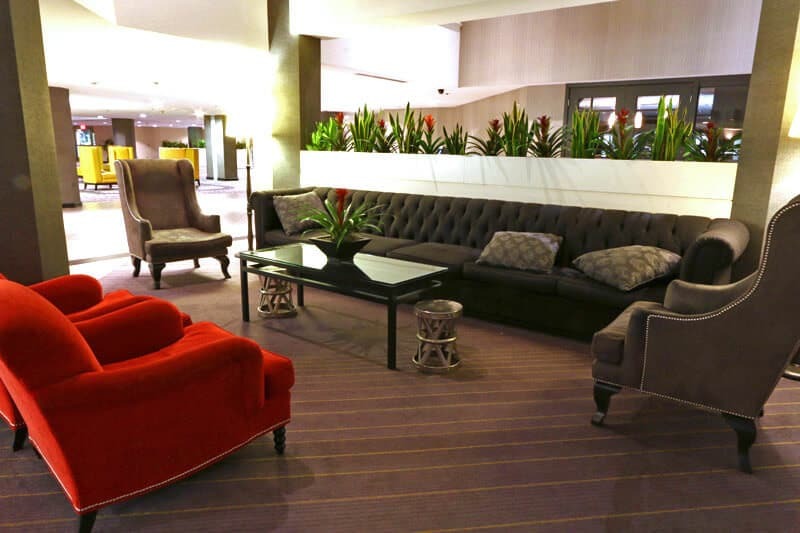 If you’re facing the front desk, there are large and comfortable seating areas on both your left and right. 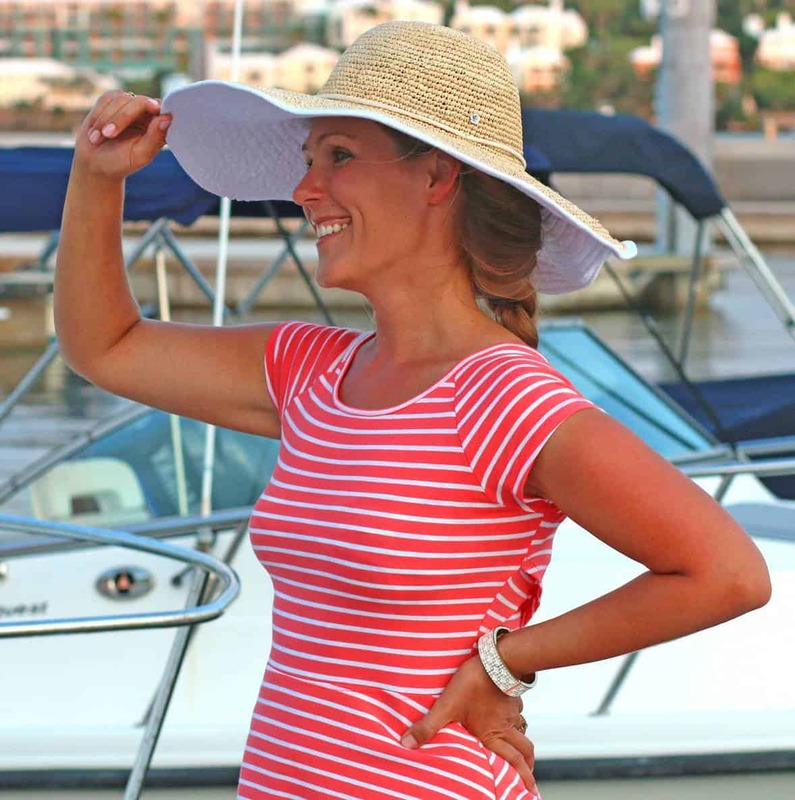 The staff was friendly and knowledgeable and were ready to help in any way they could to make our vacation a success. Picture immediately above courtesy of Sheraton Gateway. The decor is an interesting blend of modern, classy and trendy. …and also what seemed to me like an exotic touch of the Far East. 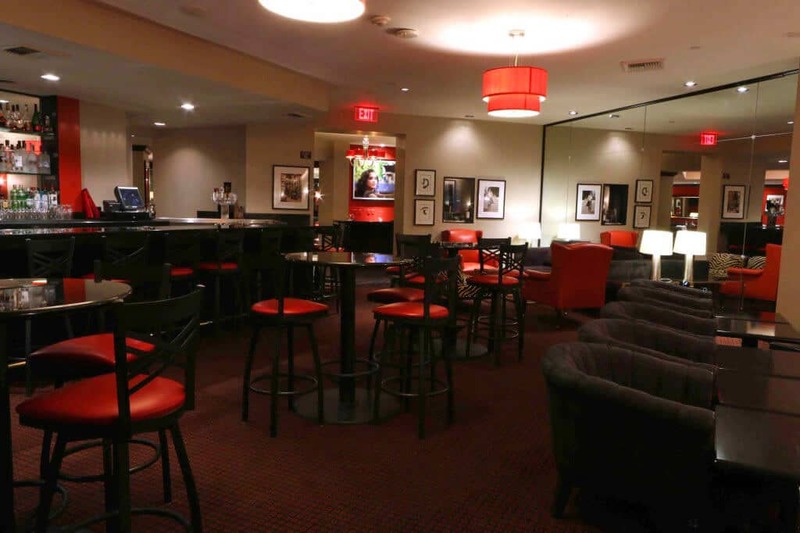 To the left of the front lobby is the Rendezvous Lounge where you can grab a drink, enjoy a snack, chat with friends or colleagues, or watch the big game. There is also a full-service Starbucks Cafe just off the lobby. 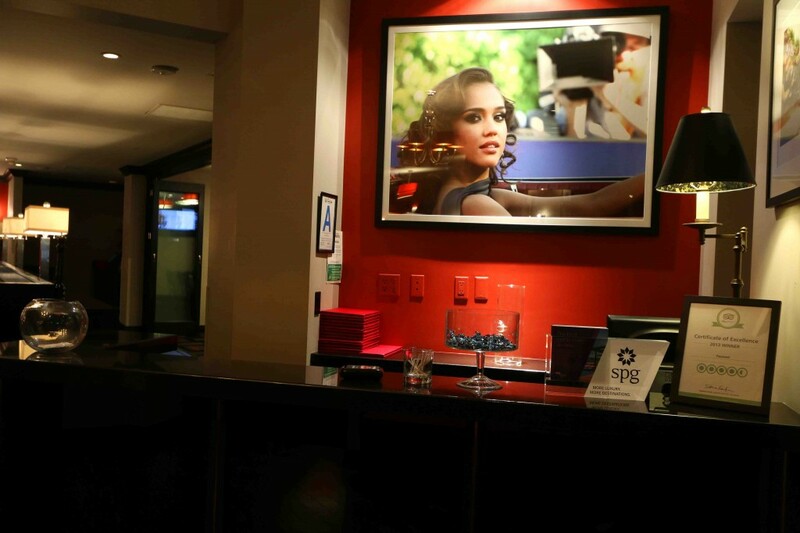 From the lounge you can access the hotel’s two restaurants, Brasserie and Paparazzi. Brasserie serves breakfast (more on that below) and Paparazzi is the hotel’s signature Italian restaurant, ranked #10 best Italian restaurant in Los Angeles. Serving authentic Italian pasta, the freshest seafood, poultry, and world class steaks, Paparazzi was exquisite. 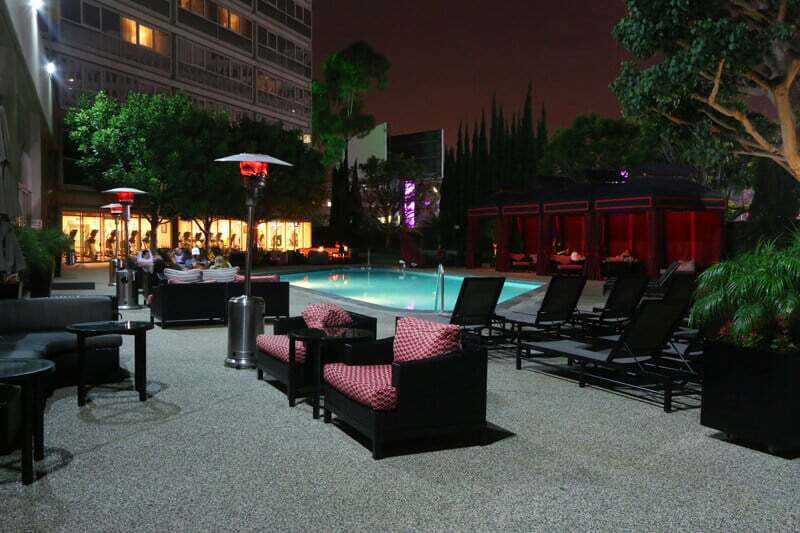 Whether you’re staying at the hotel, visiting the area, or live in LA, we highly recommend Paparazzi. Be sure to read my full photo review of our dining experience at Paparazzi. 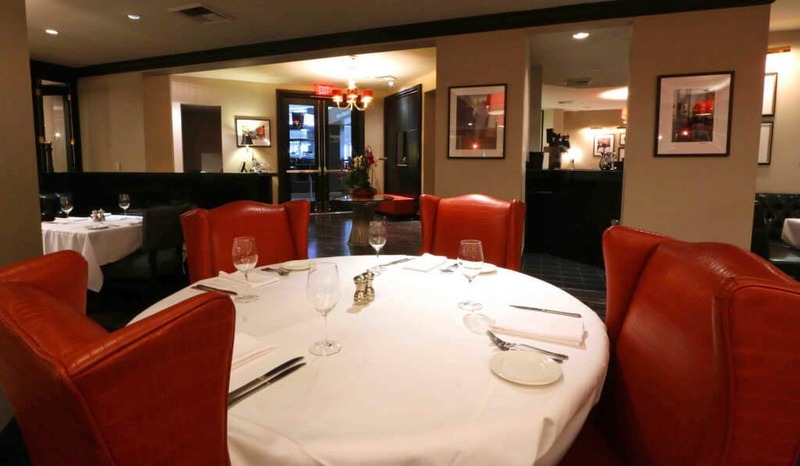 The restaurant is intimate and cozy with rich colors and soft but adequate lighting. To the left of the entrance is the restaurant’s bar and lounge echoing the same artistic style. 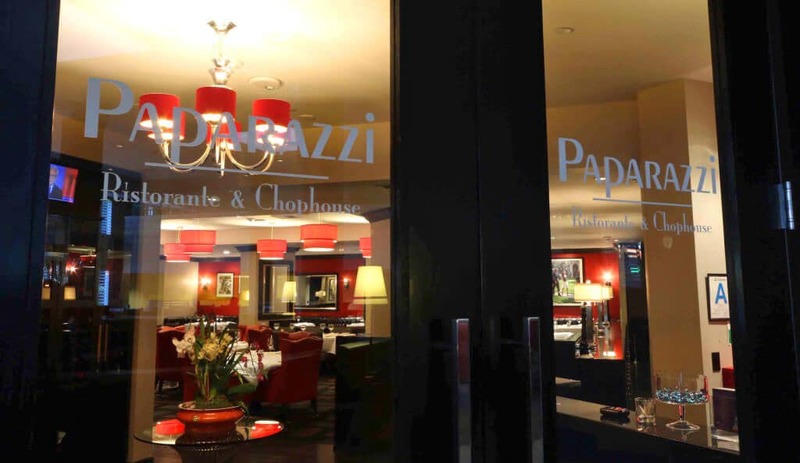 We thoroughly enjoyed our dining experience at Paparazzi Ristorante. If you like good Italian food, this is a must try! The food was beyond amazing and we still talk about it. We look very forward to a return visit the next time we’re in Los Angeles. 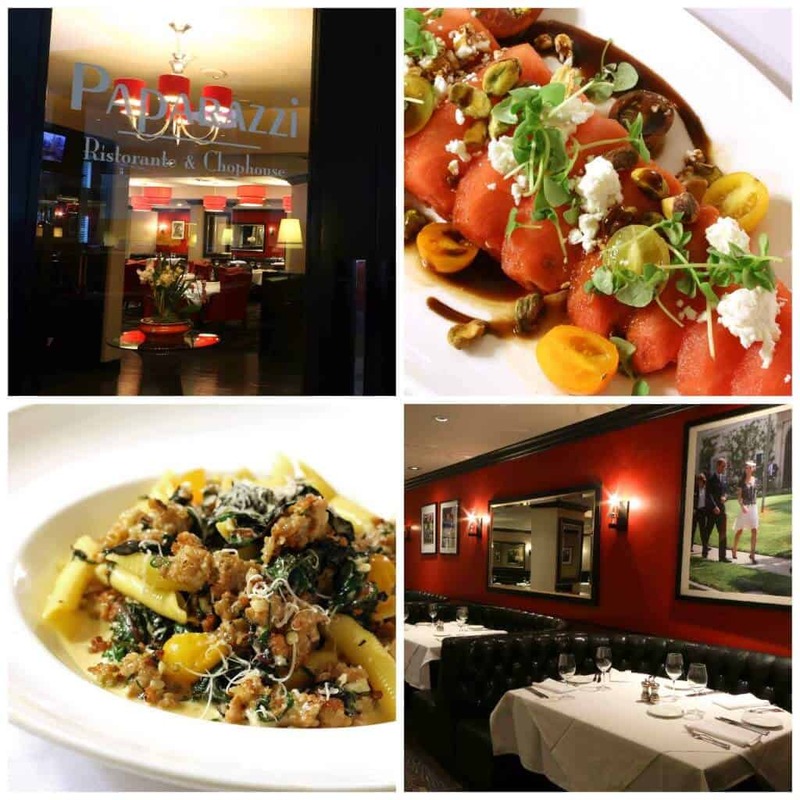 Be sure to read our complete Dinner Review of Paparazzi Ristorante. Next let’s take a look at some of the hotel’s amenities. 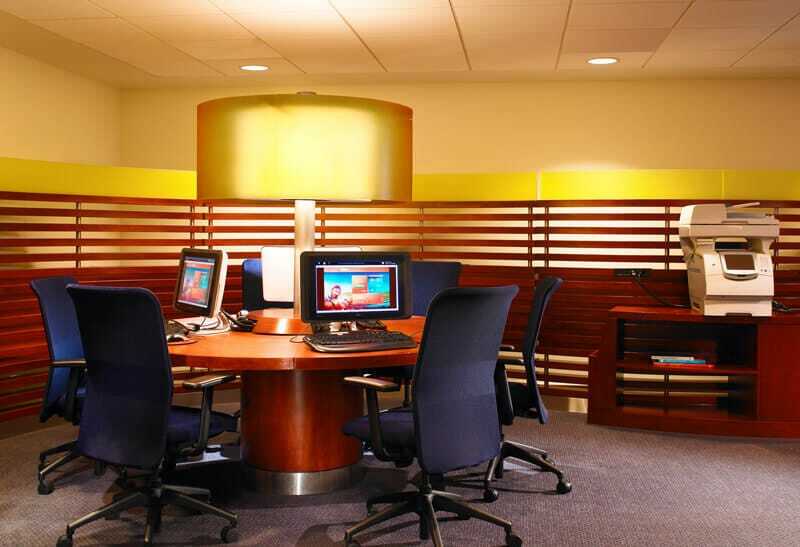 The Sheraton Gateway has a fully-equipped business center to meet all of your needs. Before breakfast or later at night – whenever your workout preference is – you may want to take advantage of the hotel’s fitness center. Large and well equipped, there’s no need to wait your turn to use the equipment here because there’s plenty of it. 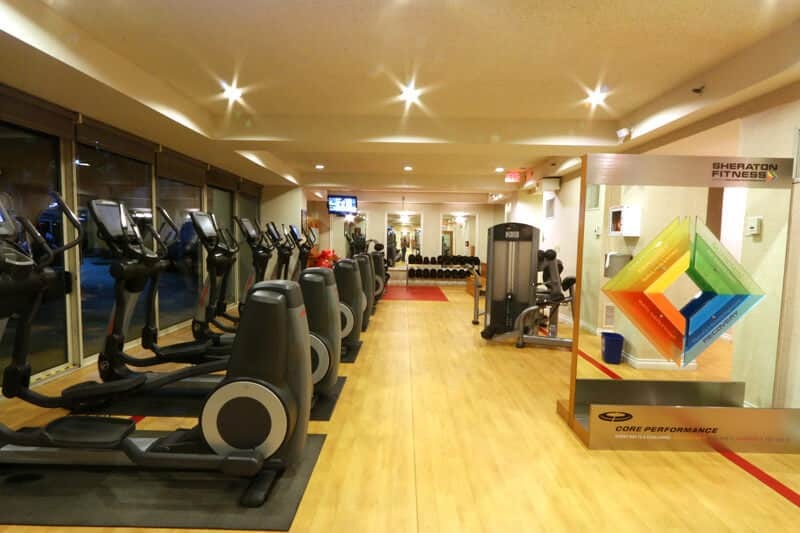 The fitness center is open 24 hours and is complimentary. 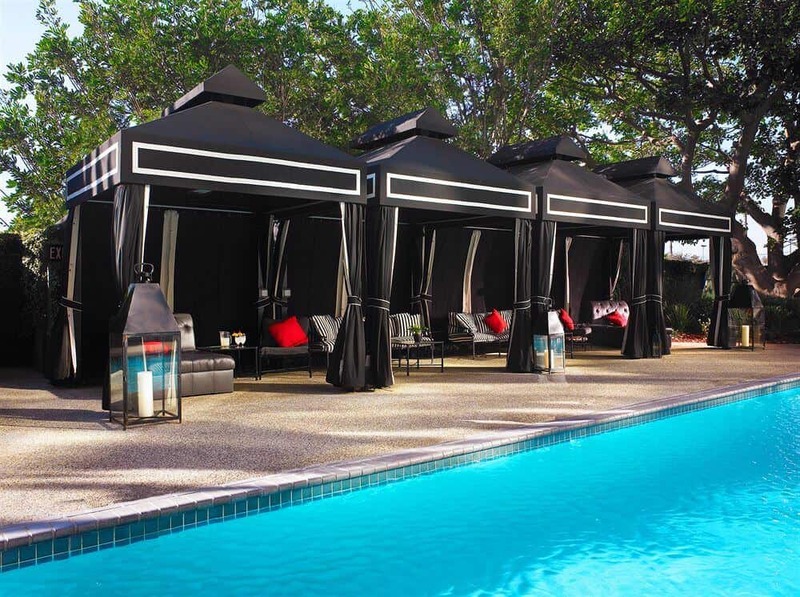 The outdoor swimming pool and whirlpool are heated and ample seating and cabanas are available. At night especially it was a wonderfully cozy and intimate atmosphere. There are heat lamps around the pool for added comfort and I was amazed at how effective they were in generating warmth. Our Corner Suite was massive! With almost 600 sq ft. there was more than enough room for our kids to get their wiggles out. Even their regular rooms are spacious with nearly 300 sq. ft.
With their custom Sheraton Sweet Sleeper beds, we slept really well in our king-sized bed. 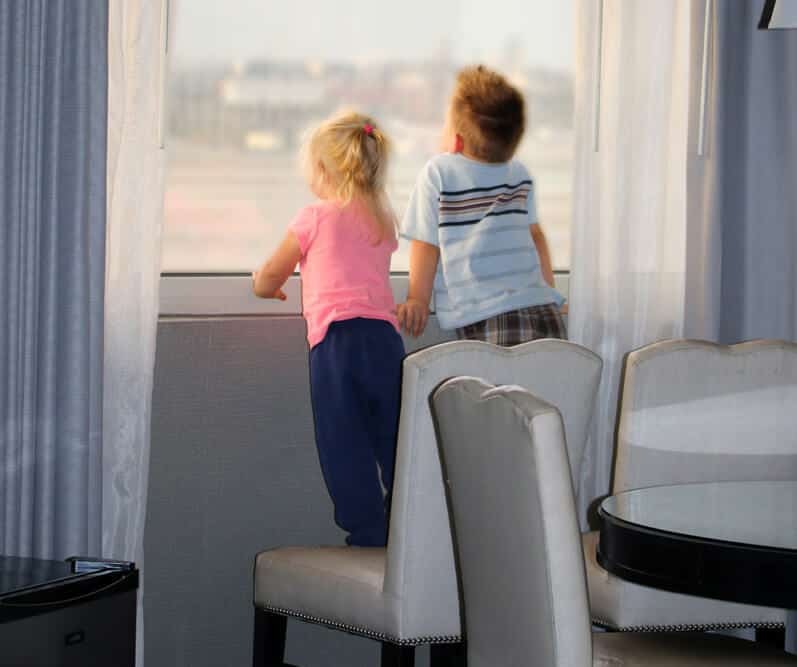 We enjoyed full views from the panorama windows and they also provided the perfect entertainment for our kids: They had a blast being able to stand at the window and watch all the planes take off and land! First thing each morning, with tousled hair and in pajamas, they ran to the window to take in the action! 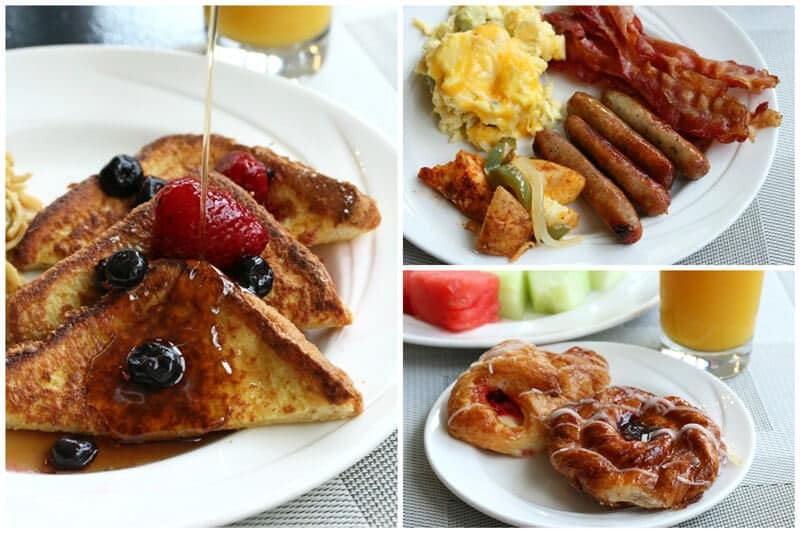 For breakfast, you’ll want to head down to the Brasserie. 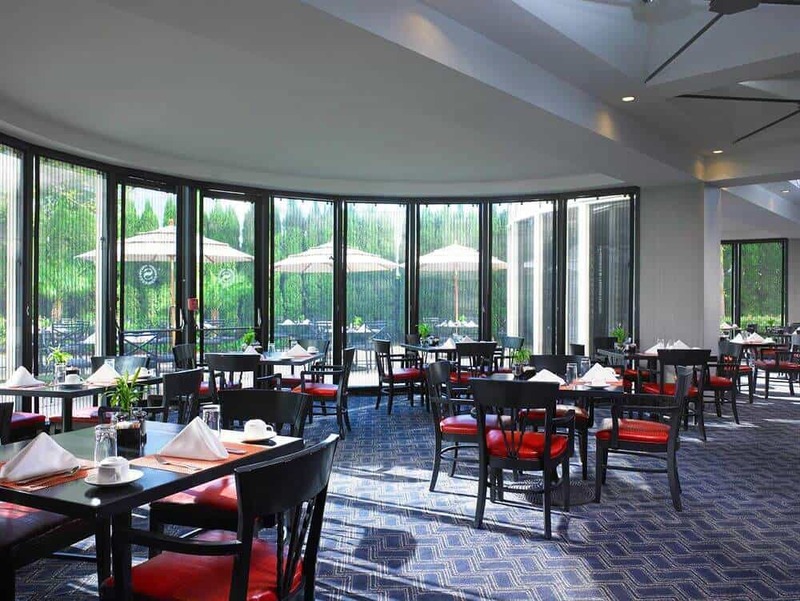 The Brasserie offers a cheerful and cozy atmosphere with the front side of it looking out at the swimming pool. To leave you supercharged for the day, the Brasserie has everything you need and more. 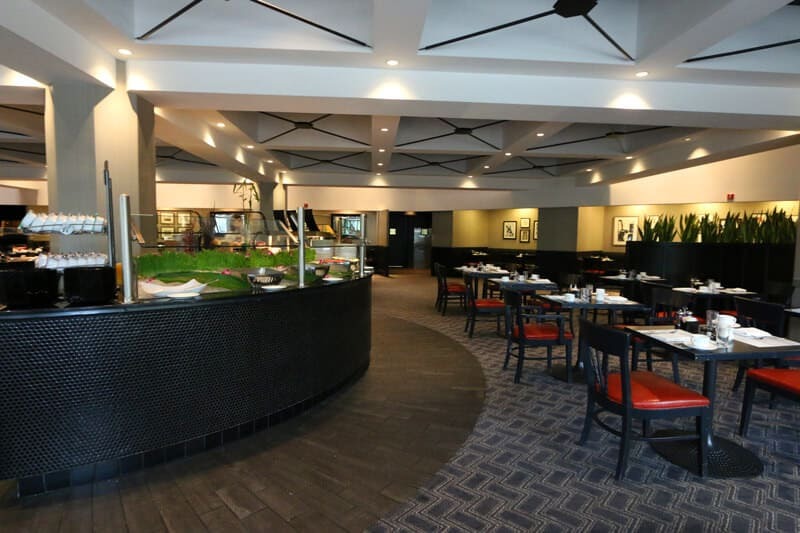 You have your choice between a full American buffet with an omelet bar or ordering from their a la carte menu. 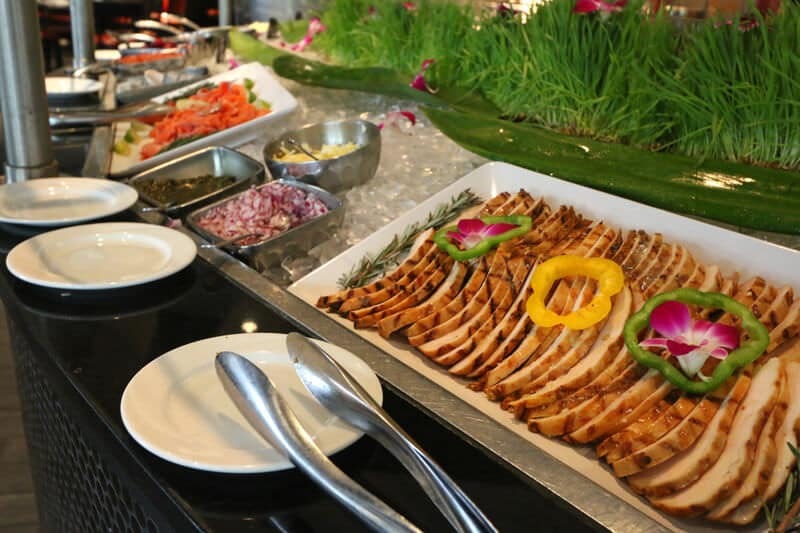 We chose the buffet and the options were fantastic! The circular buffet is at the center of the room providing easy access from all directions. 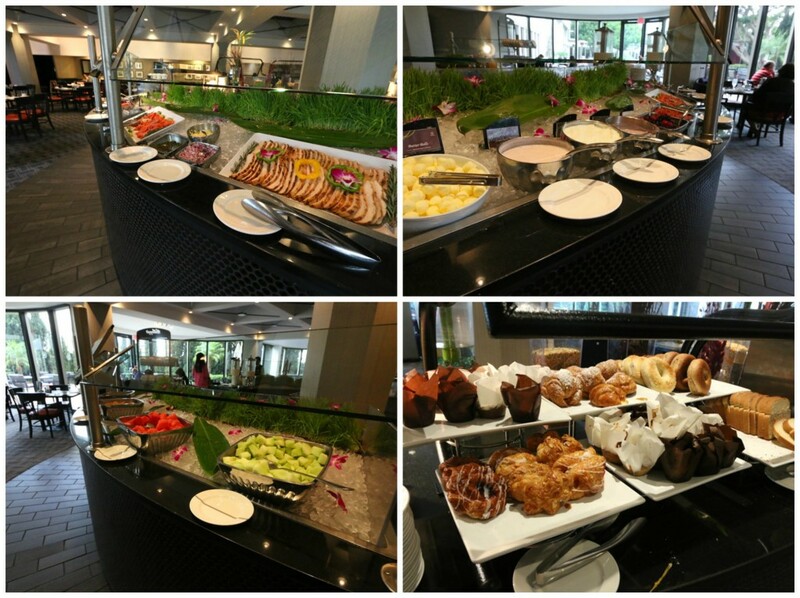 Fresh, colorful, and decorative, dishing up breakfast here at the Brasserie was a joy! There are plenty of items to choose from that cater a large variety of tastes – you can even help yourself to some chow mein noodles! And I did. There was a nice selection of ingredients that allowed us to customize and create our own breakfast after our heart’s desires. And the of course there were plenty of traditional breakfast items which we eagerly helped ourselves to. One particularly delicious item was the asparagus quiche – so good! 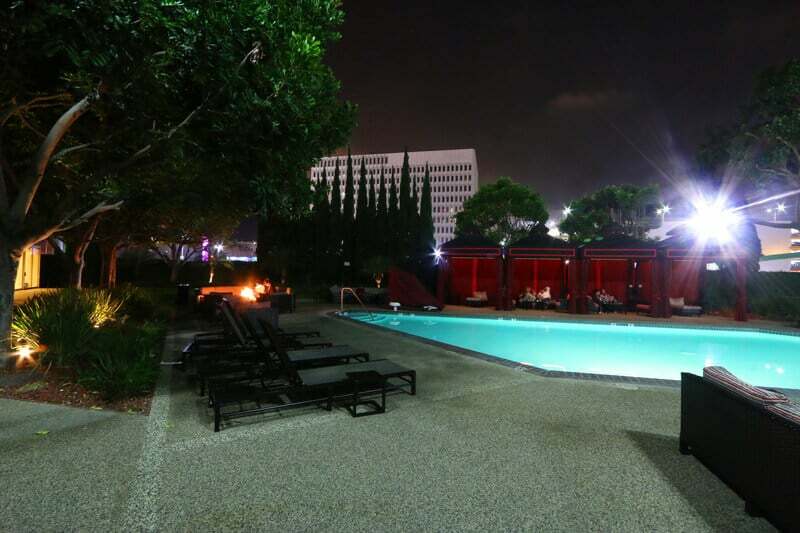 If you’re planning a trip to Los Angeles, whether for business or leisure, and are looking for a luxury hotel in a great location that offers lots of room to stretch, the full span of amenities, great service, a fantastic breakfast buffet to leave you supercharged for the day, and some of the best Italian food you’ve eaten, we highly recommend the Sheraton Gateway Hotel. 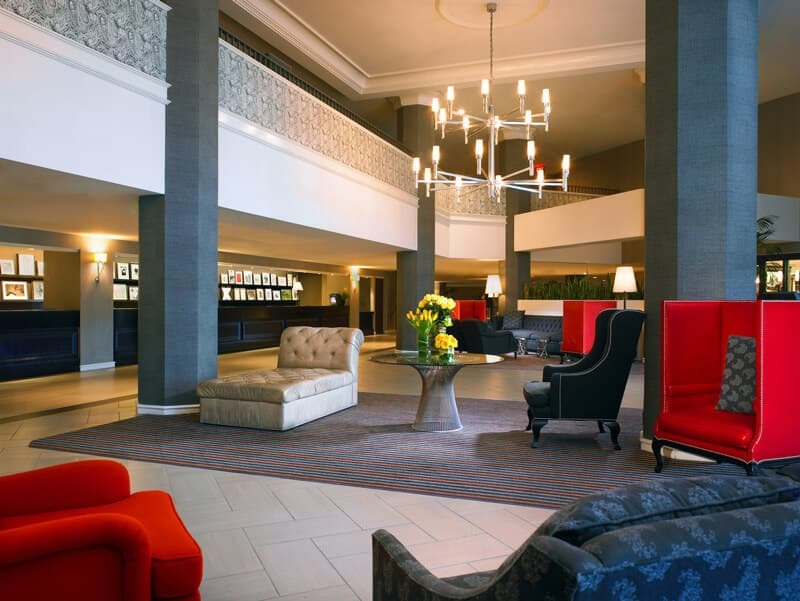 We enjoyed a complimentary stay at the Sheraton Gateway Hotel without any obligation to write a positive review. As always, all opinions are entirely my own. Really nice hotel. Appreciate all the pics too, they give you a nice “feel” for the place. Will bookmark this for the future, thanks. Thanks, SJ! We really enjoyed our stay. I’ve always been happy with Sheraton hotels and this one looks particularly nice. Great article by the way. Glad you enjoyed it, Nate, and thanks for reading! Wow, what a beautiful hotel and restaurant! I live in the area but am definitely interested in trying out Paparazzi, it looks and sounds amazing! Paparazzi was SO good, Jerri! Enjoy! The hotel looks great. I especially like the oversized suite. It’s also a big plus having a top notch restaurant right in the hotel! I can’t wait to check it out next time I’m in LA. So true, Ron, many hotel restaurants leave a lot to be desired but Paparazzi is A++. We loved it! You’ll be happy with both the restaurant and the hotel. 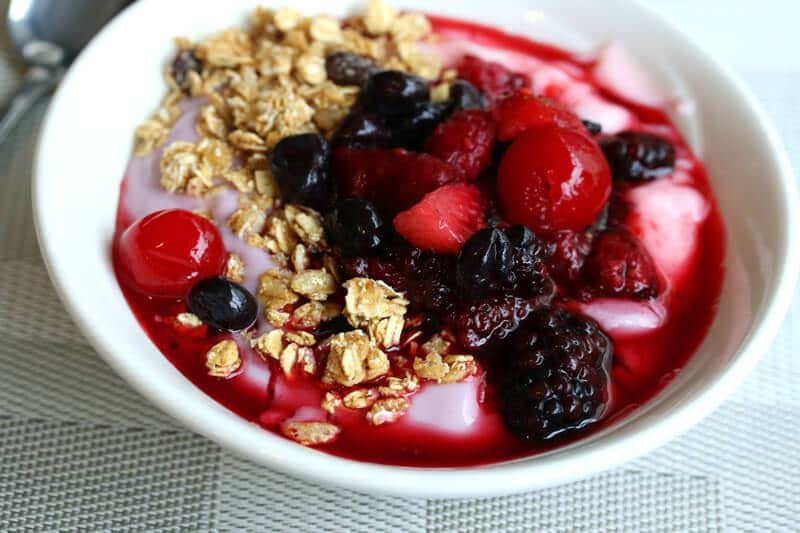 I remember your review of Paparazzi, but now I have another reason to head to the Sheraton Gateway here in LA: that breakfast bar is IMPRESSIVE!! Wow, I feel like I could just drive down tomorrow morning for breakfast alone! Not to mention the lovely public areas and rooms are lovely! Such a relaxing environment and so convenient to LAX. Will keep the Sheraton in mind for friends and relatives that want or need to stay near the airport in future; thanks, Kimberly! Definitely a great place to recommend to visiting friends and family, Christina – so close to everything and the hotel and food really are great!